I've always wanted to put up some cooking clips, and a roll of cookie dough caught my eye while I was shopping the other day. What started as capturing some footage on a whim, turned into a pretty neat comparison between my 2 cameras. 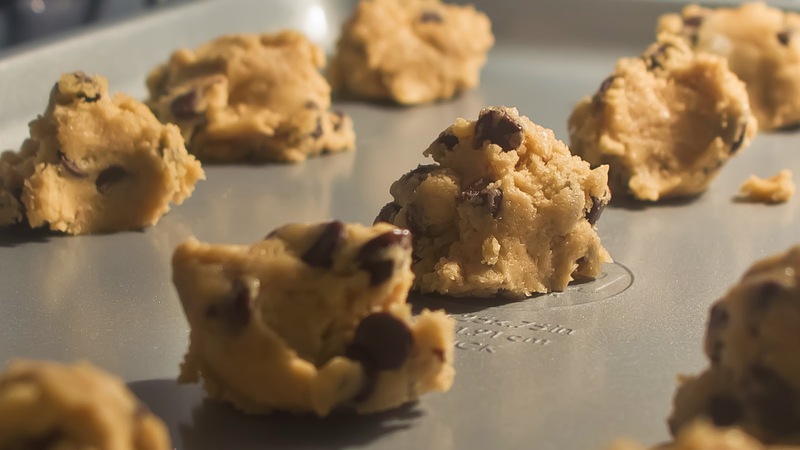 The clip titled "Baking Cookies" was shot at 1fps at 1920x1080 with a shutter speed of 1/2 on my Sony NEX FS-700. The beautiful part of this process was a clip that was ready to upload the minute I was finished. 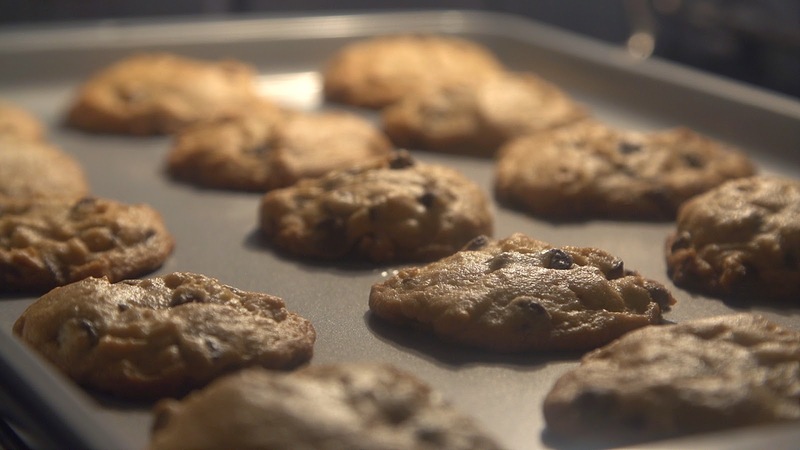 The clip titled "Baking Cookies Alt Angle" was shot using my Canon T2i with the Magic Lantern Firmware hack using the intervalometer feature at 1 image per second RAW (5184x3456). The clip was processed through After Effects and the resulting 1920x1080 clip was created "full sized" (cropped instead of resized) so what you see an 1:1 pixel display. I'd say the little Canon keeps up pretty well doesn't it? Another beneficial side effect of this footage, was that the resulting cookies were a good way to thank my wife for taking over the kitchen for the night.